Interested in what a Voltage Reference is? This video will give an introduction to voltage references, and explain the pros and cons to series and shunt references. To understand which voltage reference will fit best in your design, please read our white paper. 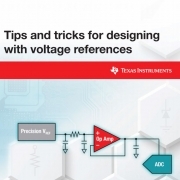 To read an in-depth review of Voltage References, please read our ebook.